This is a high quality stainless steel 304 hinged par eyes. 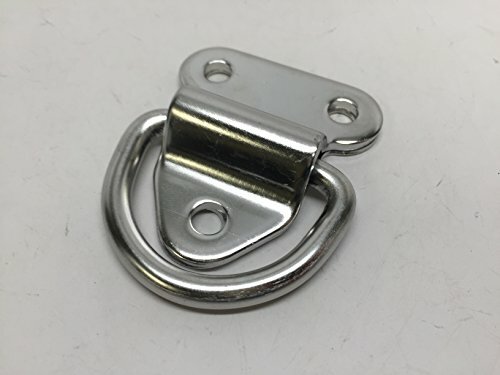 This hinge is suitable for awnings and many other tie-down applications. The stainless steel D-ring folds flat when not in use. Unlike rigid pad eyes, this hinged pad eyes give with load, materially reducing the load on the fasteners. Its friction drag ensures that the eyes stays in position and is rattle-free. Dimension: Diameter - 0.25", 2.2" (L) X 1.9" (W). Sea Dog 221835 Stainless Steel Handle/Latch 3-3/4" X 3"